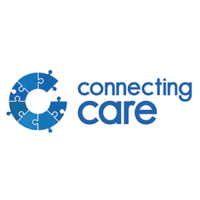 Connecting Care are using the Medical Interoperability Gateway (MIG) to share electronic health record documentation with 85 GP practices across Bristol, North Somerset and South Gloucestershire (BNSSG). Connecting Care is a digital care record system, which contains information held at GP practices, hospital departments, community services, mental health trusts, out of hours services and local authorities across BNSSG. It combines information into a single, shared record, which reduces the time spent by professionals checking details from different health and social care organisations. The Connecting Care system uses our Detailed Care Record service to consume patient information from the GP practices, which also includes end of life care data. To fulfill their commitment to the NHS ‘paperless by 2020’ strategy, Connecting Care are using Document Services to share electronic health record documentation across the region. The aim of the Connecting Care Document Sharing project was to enable Connecting Care partner organisations to share any type of document with each other. The work was based on the use of generic document sharing functions that utilise both national and international technical standards. Phase one focused on implementing cross-enterprise document sharing (XDS) standards to enable documents from acute trusts to be shared within the integrated digital care record in the Connecting Care portal. Phase two focused on the implementation of Interoperability Toolkit (ITK) standards and the deployment of Document Services as the vehicle for sharing clinical documentation electronically from the local acute trusts with GPs. The roll out of the Document Services across BNSSG has benefited GP practices, who now receive hundreds of documents each week. Secondary care teams can instantly send any type of electronic document, which has helped to improve transfers of care when a patient transitions from one care organisation to another. “The MIG Document Services has been technically easy to deploy, which has created a more timely delivery of clinical correspondence into a clinical setting. It has supported our local Trusts contributing to their paperless vision and the timely delivery of discharge summaries.” Jocelyn Palmer, Connecting Care Programme Manager, NHS South Central West CSU. Electronic documents are seamlessly delivered into the EMIS Web GP workflow and the Trust receives an immediate acknowledgement when the document is delivered, actioned or rejected by the practice. This has streamlined the admin process for GPs and ensures electronic documentation can be retrieved and tracked at the point of care. “Having documents from University Hospitals Bristol (UHB) coming straight into the system has made the whole process so much easier/quicker.” GP administrative assistant. “Receiving documents electronically from UHB has saved my team so much time, it couldn’t have come sooner. We hope that soon we will receive all documents from every trust this way as standard.” GP operations manager. To arrange an online demonstration or to find out how the MIG is being used in your area, please call 0845 601 2642.